And Mariano did it with class and dignity. 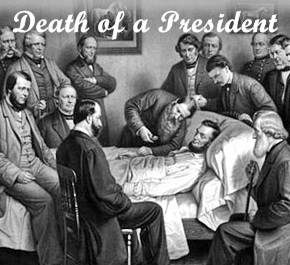 1865 – At 7:22 a.m., Abraham Lincoln, the 16th president of the United States, died from a bullet wound inflicted the night before by actor (and Confederate sympathizer) John Wilkes Booth. Vice President Andrew Johnson – another intended target the night before – appeared before Salmon Chase, Chief-Justice of the United States, at 10:00 a.m. and took the oath of office as President of the United States, assuming its duties and functions. 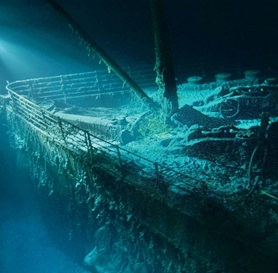 1912 – At 2:20 a.m., the “unsinkable” RMS Titanic sank into the North Atlantic, three hours after colliding with an iceberg. Four days earlier, the Titanic, one of the largest and most luxurious ocean liners ever built, departed Southampton, England, on its maiden voyage across the Atlantic Ocean. While leaving port, the massive ship came within a couple of feet of the steamer New York but passed safely by. It was an omen of the tragedy still to come. Because of a shortage of lifeboats and the lack of satisfactory emergency procedures, more than 1,500 people went down in the sinking ship or froze to death in the icy North Atlantic waters. The figures show stark differences in the survival rates of the different classes aboard Titanic. Although only 3 percent of first-class female passengers were lost, 54 percent of those in third class died. Similarly, five of six first-class and all second-class children survived, but 52 of the 79 in third class perished. 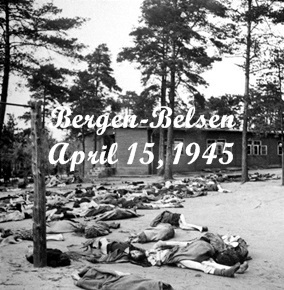 1945 – The British 11th Armored Division liberated the Nazi concentration camp Bergen-Belsen. The soldiers were totally unprepared for what they found. Inside were more than 60,000 emaciated and ill prisoners in desperate need of medical attention. More than 13,000 corpses – including the body of Anne Frank – were in various stages of decomposition and lay littered around the camp. The horrors of the camp, documented on film and in pictures, made the name “Belsen” emblematic of Nazi crimes in general for public opinion in many countries in the immediate post-1945 period. From 1941 to 1945, almost 20,000 Soviet prisoners of war and a further 50,000 prisoners died there. 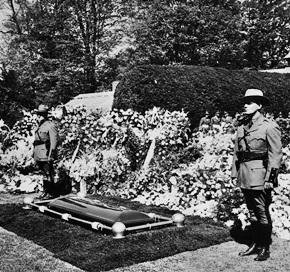 1945 – Following a private funeral, where only family members, close friends, high government officials, members of both chambers of the Congress, and heads of foreign missions were in attendance, President Franklin D. Roosevelt was buried at his Hyde Park, NY residence. Due to active military participation of the United States in World War II, it was decided in advance that Roosevelt would not be given a state funeral, as any public display of ceremonial pomp undertaken in Washington, D.C. during a time of war was deemed inappropriate. 1947 – Jackie Robinson, at the age of 28, became the first African-American player in Major League Baseball when he stepped onto Ebbets Field in Brooklyn to play for the Brooklyn Dodgers. Robinson broke the color barrier in a sport that had been segregated for more than 50 years. Robinson’s promotion met a generally positive, although mixed, reception among newspapers and white major league players. Several Brooklyn players insinuated they would sit out rather than play alongside Robinson, but the brewing mutiny ended when Dodgers’ manager Leo Durocher not-so-politely informed the players that Robinson was going to play whether they liked it or not. 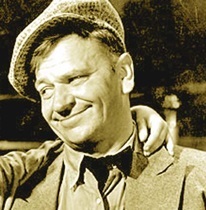 1949 – Academy Award winning Actor Wallace Beery died of a heart attack at the age of 64. Beery appeared in over 250 films during his 36-year career, including Treasure Island, Viva Villa!, Robin Hood, and The Champ, for which he won the Academy Award for Best Actor. 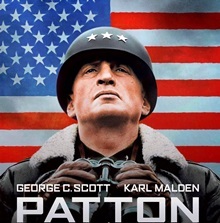 1971 – At the 43rd Academy Awards, Patton was the big winner, capturing Best Picture, Best Director (Franklin J. Schaffner) and Best Actor (George C. Scott). Glenda Jackson won Best Actress for Women In Love. John Mills (Ryan’s Daughter) and Helen Hayes (Airport) won Best Supporting Actor and Actress. 1980 – Actor Raymond Bailey died of a heart attack at the age of 75. 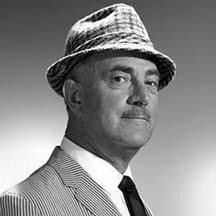 While his film credits included dramatic roles in Picnic, The Gallant Hours, I Want To Live, and Vertigo, Bailey was best known for playing the role of banker Milburn Drysdale in the television comedy series The Beverly Hillbillies. 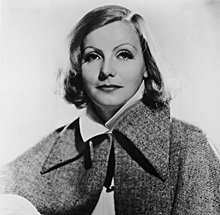 1990 – Actress Greta Garbo died of pneumonia and renal failure at the age of 84. Nominated three times for a Best Actress Academy Award – but never a winner — Garbo’s aversion to publicity and the press was undeniably genuine. She never signed autographs or answered fan mail, nor did she ever appear at Oscar ceremonies, even when she was nominated. Her intense desire for privacy resulted in her retirement from movies at the age of 35, after acting in only twenty-eight films. 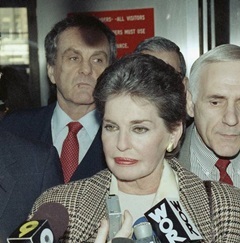 1992 – Billionaire Leona Helmsley reported to Federal Medical Center, a minimum-security prison in Lexington, KY.
“The Queen of Mean” had been convicted of one count of conspiracy to defraud the United States, three counts of tax evasion, three counts of filing false personal tax returns, sixteen counts of assisting in the filing of false corporate and partnership tax returns, and ten counts of mail fraud. She was sentenced to 16 years in prison but was released from custody on January 26, 1994, after serving nineteen months. 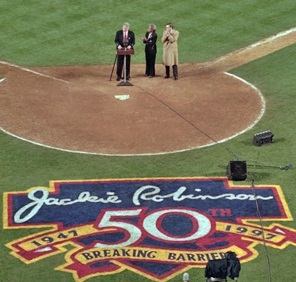 1997 – Exactly 50 years after his major league debut, Jackie Robinson’s groundbreaking career was honored and his uniform number, 42, was retired from Major League Baseball by Commissioner Bud Selig in a ceremony attended by over 50,000 fans at New York City’s Shea Stadium. Robinson’s was the first-ever number retired by all teams in the league. 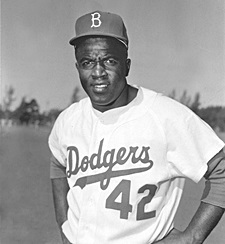 A “grandfather clause” allowed the handful of players who wore number 42 to continue doing so in tribute to Robinson. The New York Yankees’ Mariano Rivera, who retired at the end of the 2013 season, was the last player in Major League Baseball to wear jersey number 42 on a regular basis. As you can see from the quote at the top of this column, Rivera, a native of Panama, did not take the honor lightly. 1998 – Pol Pot, leader of Cambodia’s brutal Khmer Rouge regime, died at the age of 72. Beginning in 1975, Pol Pot conducted a rule of terror that led to the deaths of nearly a quarter of Cambodia’s seven million people through execution, torture, starvation and disease. After raids by the Khmer Rouge across their border, the Vietnamese invaded Cambodia and in 1979 overthrew the Khmer Rouge regime. 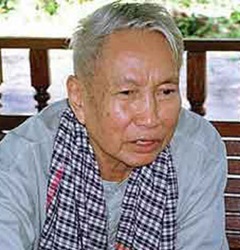 Pol Pot fled to the border region with Thailand from where he fought against the Vietnamese-backed government in Phnom Penh. In 1997, after a power struggle within the Khmer Rouge, Pol Pot was arrested by former colleagues and sentenced to life under house arrest. 2001 – Joey Ramone, the lead singer and songwriter with the punk rock group The Ramones, died from lymphoma at the age of 49. 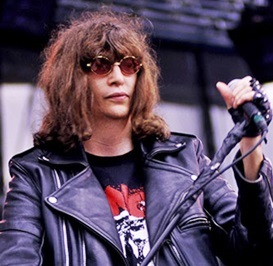 Born Jeffrey Ross Hyman, Ramone and his band were a major influence on the punk rock movement in the United States with songs such as Rock ‘n’ Roll High School, Rockaway Beach, and Blitzkrieg Bop. On March 18, 2002, the Ramones were inducted into the Rock and Roll Hall of Fame. 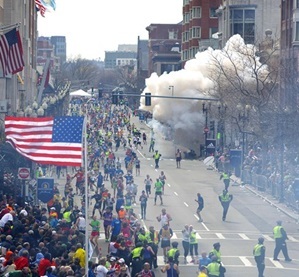 2013 – Two bombs exploded near the finish line of the Boston Marathon, killing three spectators and wounding more than 260 other people in attendance. Krystle Marie Campbell, Lü Lingzi, and 8-year old Martin William Richard all died from injuries suffered in the bombings. Three days later, the suspects ambushed and killed Sean A. Collier, an MIT police officer, kidnapped a man in his car, and had a shootout with the police in nearby Watertown, during which two officers were severely injured – one of whom, Dennis Simmonds, died a year later. On April 19, after an intense manhunt that shut down the Boston area, police captured one of the bombing suspects, 19-year-old Dzhohkar Tsarnaev, who was hiding in a boat in Watertown. His older brother and fellow suspect, 26-year-old Tamerlan Tsarnaev, died following a shootout with law enforcement shortly after midnight on April 19. He had run out of ammunition and was tackled by policemen who unsuccessfully tried to drag the suspect out of the path of a stolen SUV driven by his younger brother. The car ran over Tamerlan and dragged him a short distance down the street. He died at 1:35 a.m. at a Boston hospital. On April 8, 2015, Dzhohkar Tsarnaev was convicted of 30 charges, including use of a weapon of mass destruction and malicious destruction of property resulting in death. Two months later, he was sentenced to death. While his appeals – which could literally take decades – continue, he is imprisoned at ADX Florence, the most secure prison in the United States. 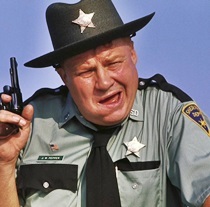 2017 – Actor Clifton James died from complications of diabetes. He was 96. Although he appeared in over 60 films, including The Untouchables, Eight Men Out, and Cool Hand Luke he may best be remembered for appearing in two James Bond films (The Man With The Golden Gun and Live and Let Die) in the role of inept Louisiana Sheriff J.W. Pepper. 2018 – Actor R. Lee Ermey died from complications related to pneumonia. 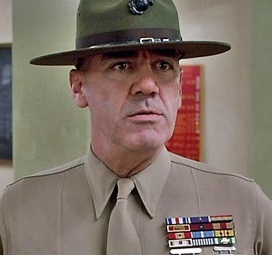 A former U.S. Marines drill instructor, Ermey appeared in Apocalypse Now, The Boys in Company C, Sommersby, Dead Man Walking and Mississippi Burning, but he will forever be remembered for his role as Gunnery Sergeant Hartman in Full Metal Jacket. He was buried at Arlington National Cemetery. Ray – reminders to all of us as to just how fragile life is and how thankful we should be for the time we have on this earth. Thanks for taking your time to share these snip-its of history …. and for all you do for us each and every day …. Thank you, Barbara, and thank you for taking the time to read it all.